recognises that publicity and pictures of young people enjoying rugby are essential to promote the sport and a healthy lifestyle. To facilitate this it is therefore essential that the following principles and rules should be observed. These Best Practice Guidelines have been developed to provide clubs, schools and Constituent Bodies with advice and guidance on the use of images of young people. outlined in these guidelines you will be putting in place the best possible practice to protect young people wherever photographs or recorded images are taken and stored. 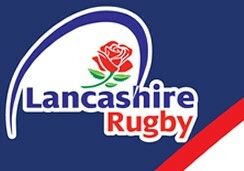 recognises the need to ensure the welfare and safety of all young people in Rugby Union. As part of our commitment to ensure the safety of young people we will not permit photographs, video or other images including those taken via mobile phones of young people to be taken or used without the consent of the parents/carers and the young person. We will follow the RFU/RFUW guidance for the use of images of young people, and take all steps to ensure these images are used solely for the purposes they are intended which is the promotion and celebration of the activities of Bolton Rugby Club. If at any time either the parent/carer or the young person wishes the data to be removed from the website, the club welfare officer should be informed.